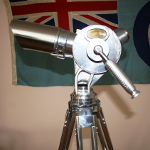 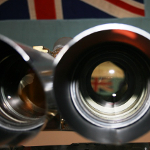 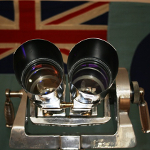 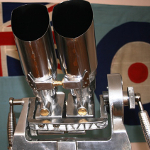 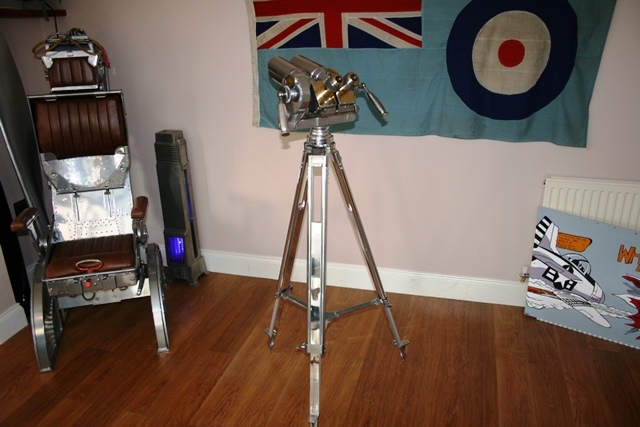 Vintage Aircraft Furniture is pleased to present a set of Russian 10 x 80 Large Anti-Aircraft Binoculars. 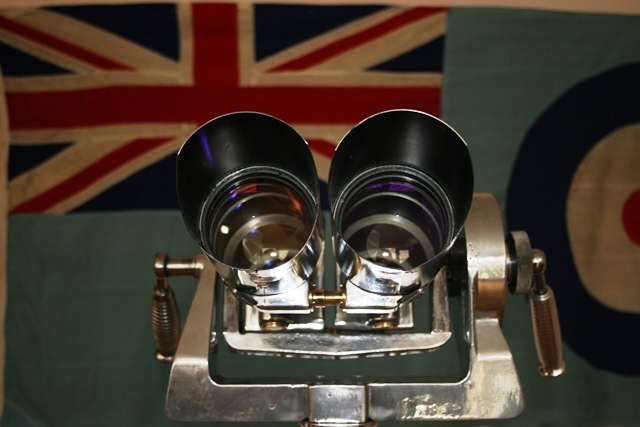 They were manufactured in the Cold War with improved optical performance. 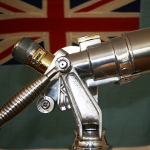 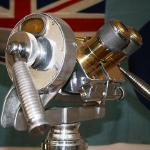 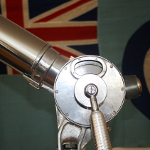 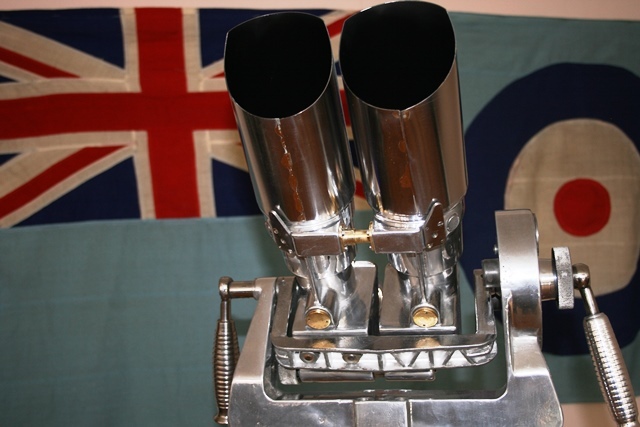 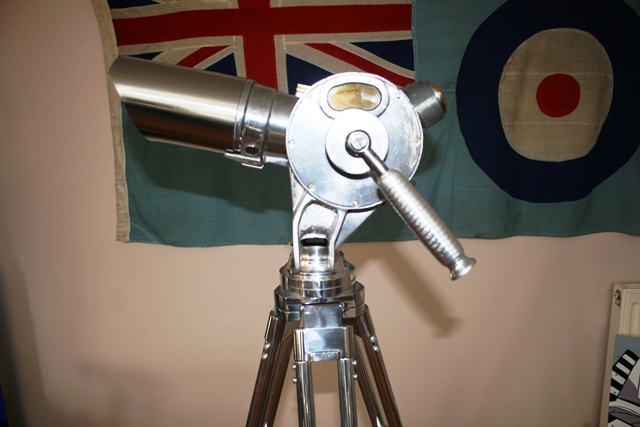 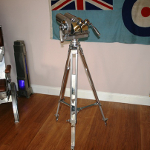 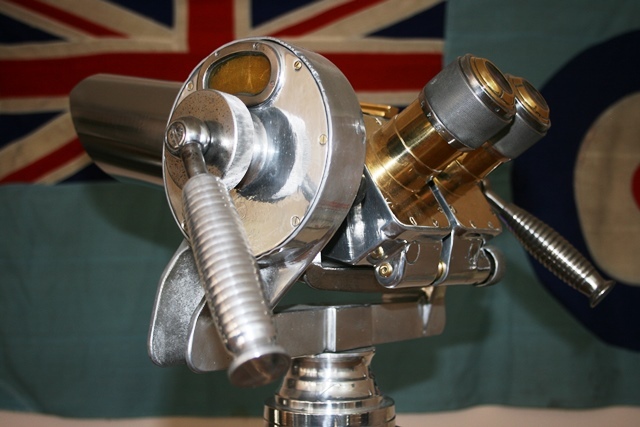 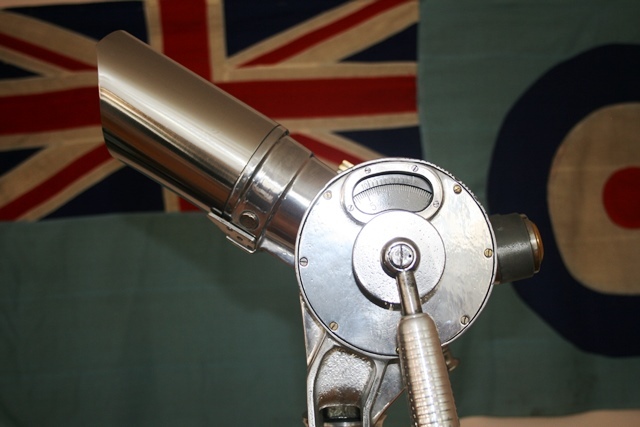 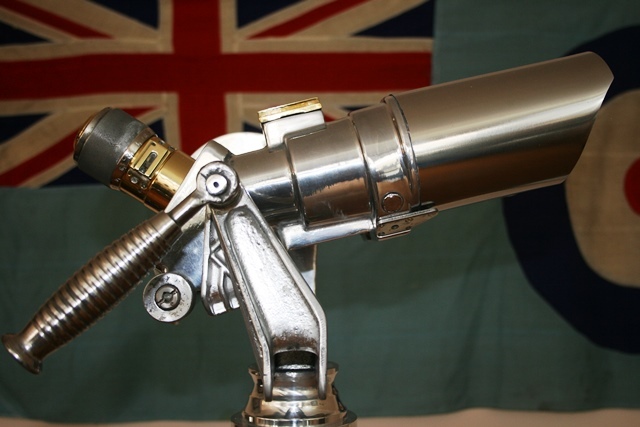 The binoculars have been professionally stripped and serviced before being hand polished and mounted on an aluminium cradle with a polished fully adjustable stand. 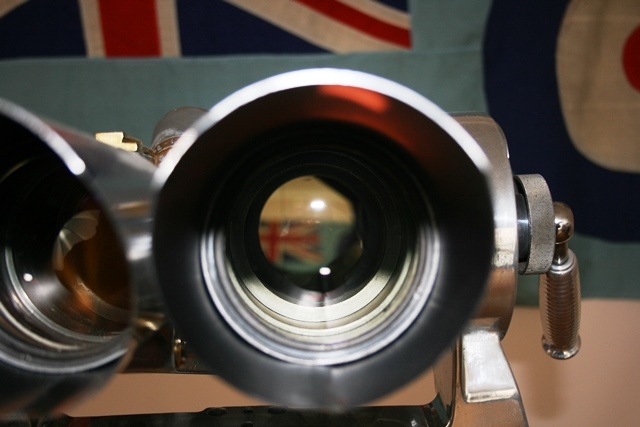 The near perfect quality of the optics means that they can be used for appreciating the detail of any view or simply star gazing.